Building your own cottage is something that many people have spent a lifetime dreaming about – what it will look like, what it will feel like when you’re there, you’ve likely even imagined the sounds of nature, and the warmth of the sun in your lawn chair watching kids play in the water. However, achieving this dream, can be quite an undertaking. Where should you look for property? How will you come up with that perfect design? And how will you take that design from a simple concept to living out your dream of lake life? Luckily, finding a property in the region we live in is actually easier than most. Manitoba and Northwestern Ontario have some of the largest cottage areas in the country. Places like Lake of the Woods, the Whiteshell, Lake Manitoba, and Lake Winnipeg are just a few places we call cottage country. Keep in mind, if you’re wanting to build, some cottage areas don’t have any new lots being developed, so you will need to be on the lookout for properties that have an old cottage on the site that needs to be torn down. Quick tip: Often the people who own these “tear down” cottages never even make it out to the lake. The cottage was passed down to them and they simply don’t have time for the upkeep, never mind enjoying it. They also don’t want to take the time to list it. If you can do some digging to find out who owns these properties, you may be surprised how many people may consider selling if you make it easy for them. Once you’ve found that perfect property, we’re here to walk you through the rest. 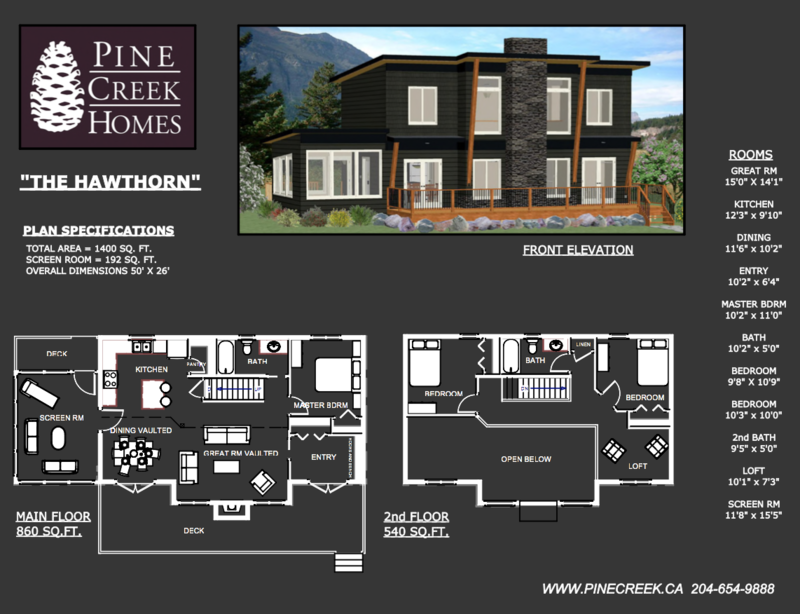 At Pine Creek Homes we take our builds right from concept stage through to completion. If you already have a plan drawn up, that’s great. If not, we can work with you to design a plan from scratch. You can view some of our pre-made plans here to give you some ideas, or if you have a few of your own sketches or pictures of things you like, we can work with that to develop the perfect design that will fit your style and budget. With the design complete, the fun begins! 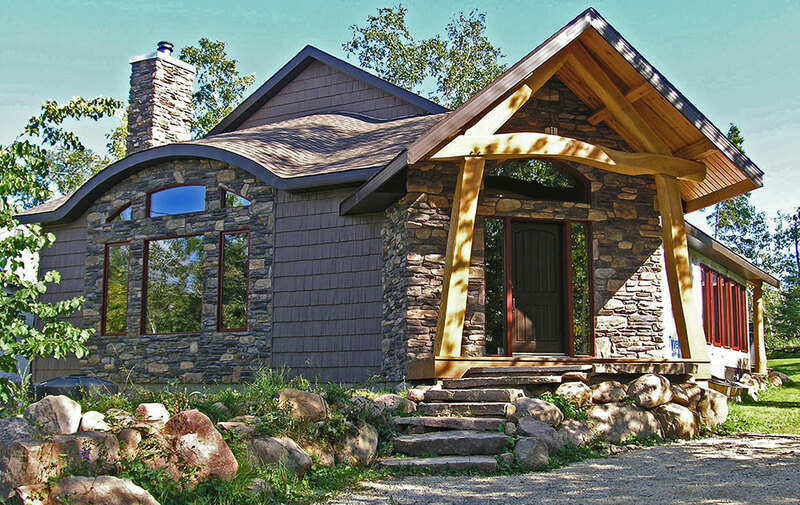 Building in cottage country often provides more challenges than building a home, simply as a result of location. Much of our local cottage country is located in the Canadian Shield. This means, building on granite and often other unknown ground conditions like high water tables. Suiting a proper foundation to the ground conditions, servicing the cottage with water and septic, and dealing with remote access are just a few of the things that make building cottages unique. Interested in doing a DIY build? We’ve got a solution for you too. Our shell option is designed to get you started on the right foot when building your own cottage. We take care of all the design, engineering and permitting, and bring the cottage to a closed in stage that’s protected from the weather, where you can take over from there. For more information on our cottage shell options click here. 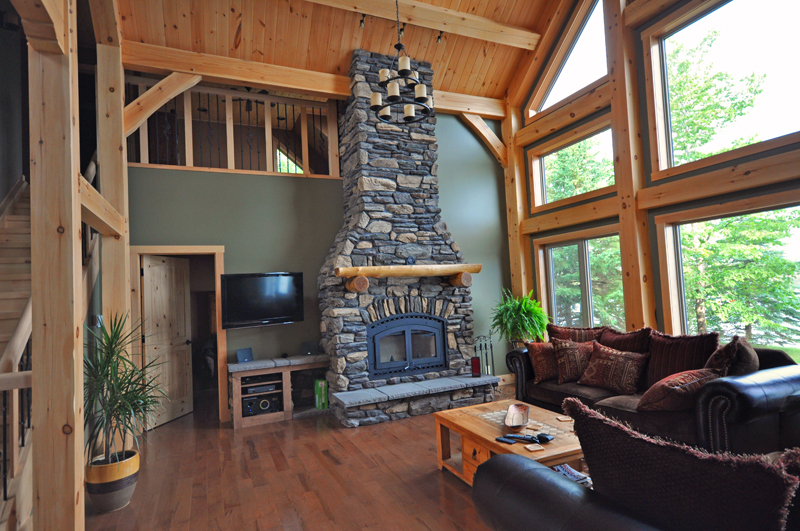 At Pine Creek Homes, we’re second generation builders and have been building in cottage country our whole lives. We have the experience and expertise turning your dream, of living the lake life, into a reality that will last for generations. If you would like to sit down and discuss your future build, or if you just have some questions you might like answered, please contact us.